Blend first six ingredients. Freeze for about an hour before putting mixture in ice cream maker. Churn in ice cream maker. 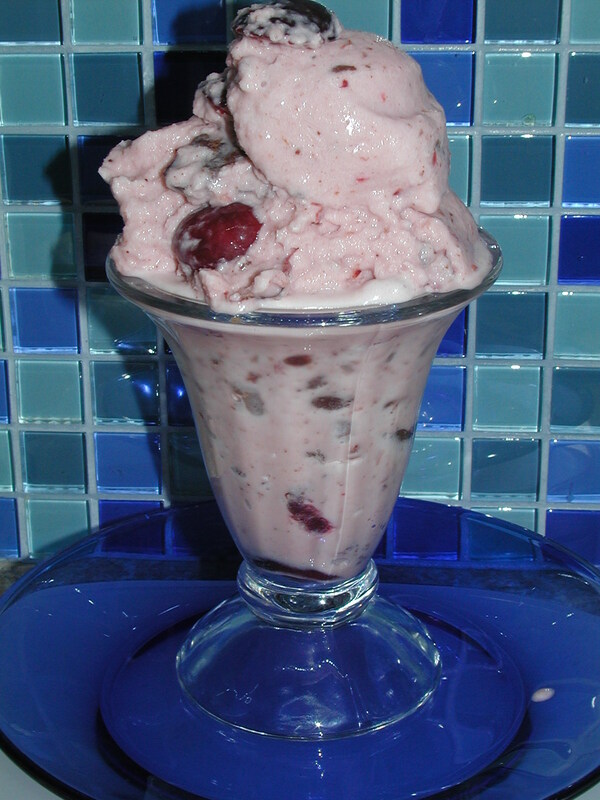 When ice cream is starting to take shape, add cherries and frozen semi-sweet chocolate chips. Continue to freeze in ice cream maker until desired consistency. Enjoy! -Any combination of coconut milk, kefir, sour cream, yogurt and water works.